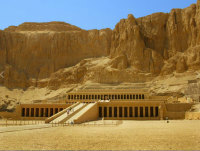 Click on these photos to view attractions from our Discover Ancient Egypt package! 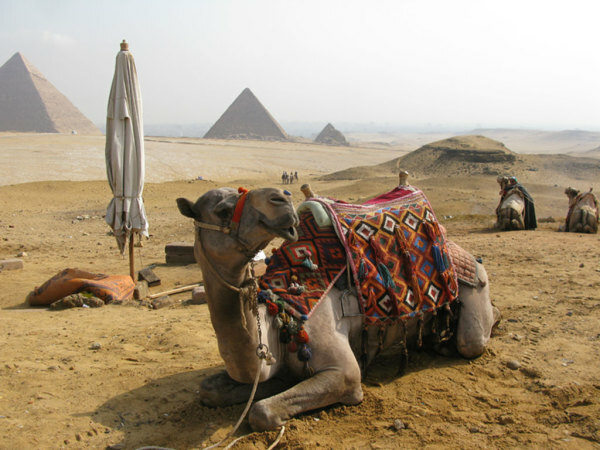 *Airfares from the U.S. to Cairo vary widely. We will help you book the best airfare from your home airport. you to your hotel. After check-in and a welcome drink, we'll go over the next day's schedule. After breakfast in your hotel, your guide will pick you up and you'll begin your Discover Egypt adventure. than 4,500 years ago. After lunch in a nice Egyptian restaurant, you'll visit the Step Pyramid and the Colossus of Ramses. After breakfast in your hotel, your guide will take you to the Alabaster Mosque, the beautiful Hanging Church, the Church of St. Serguis and the Jewish Synagogue of Bin Ezzra. After lunch you'll visit the Egyptian Museum of Antiquities, where you will see the famous treasures of King Tut and other precious antiquities. End the day at the exotic Khan el Khalili Bazaar. 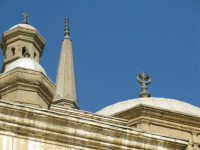 Activities included today: Guided tours of the Alabaster Mosque, beautiful Hanging Church, Church of St. Serguis, Jewish synagogue of Bin Ezzra, Egyptian Museum of Antiquities, and the Khan el Khalili Bazaar. 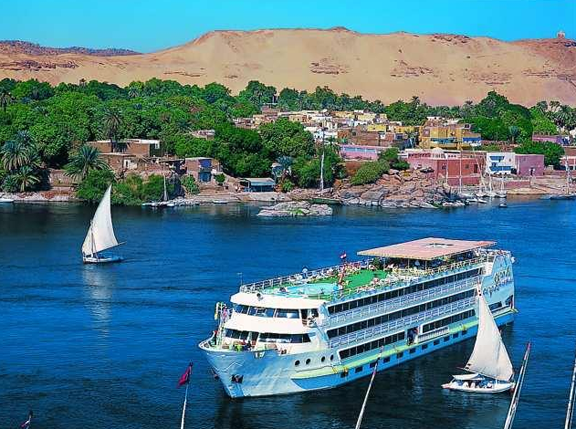 5* Nile River cruise ship and enjoy lunch on board. 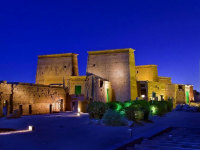 This afternoon, you'll visit the two great temples Karnak and Luxor. 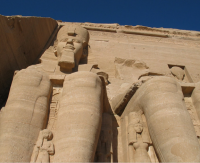 63 Pharaohs' tombs; the Temple of Queen Hatshepsut, and the Colossi of Memnon. 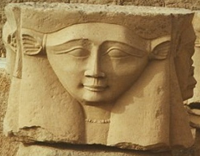 and the Temple of Kom Ombo, built in 180 BC to honor the crocodile and falcon gods Sobek and Horus. 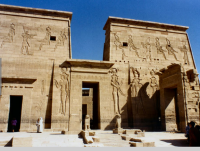 After breakfast on board the boat, you'll visit the High Aswan Dam, the unfinished obelisk, and the Temple of Philae. 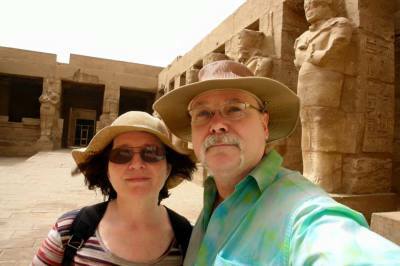 Activities included today: Guided tours of the High Aswan Dam, the unfinished obelisk, and the Temple of Philae. Grand Pyramids. 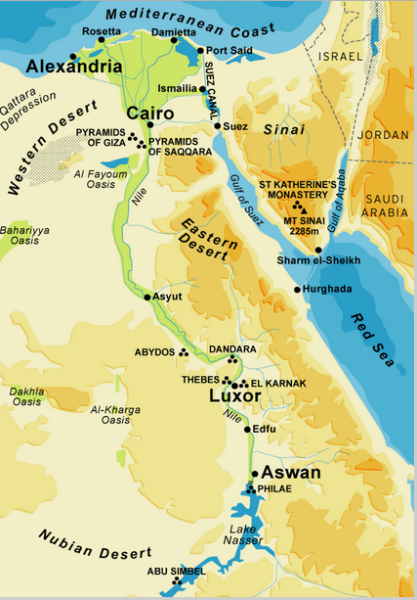 Later you'll head to the Aswan Airport for a short flight back to Cairo. Enjoy the rest of the day at leisure. assist with your airline check in. 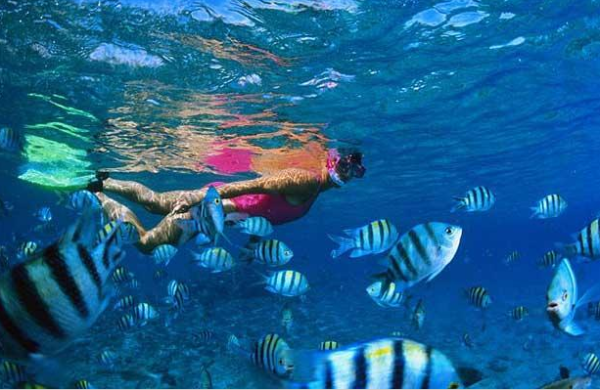 You'll leave with unforgetable memories of your Bucket List trip to Egypt . Note: the sequence of days may change, depending on the boat sailing schedule and your arrival date to Egypt. 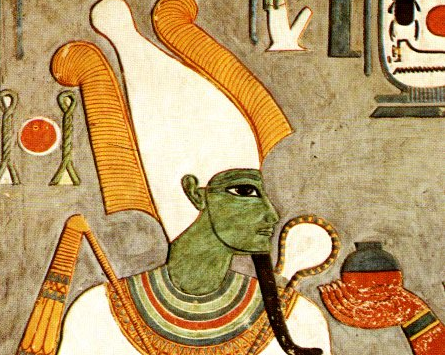 "Back from Egypt. An amazing time, definitely a nat-geo moment. Nine days of beautiful lands, friendly people, and ancient wonders. Trip of a lifetime we will never forget. the whole thing possible, and just totally awesome." Your space will be secured when we receive a deposit of 25%. Additionally, there are cancellation fees on all domestic flights within Egypt. If you cancel a tour at any time, you will be subject to any fees according to airline’s cancellation policy. Refunds: A refund will normally be made to the same account and using the same method used for the original payment. 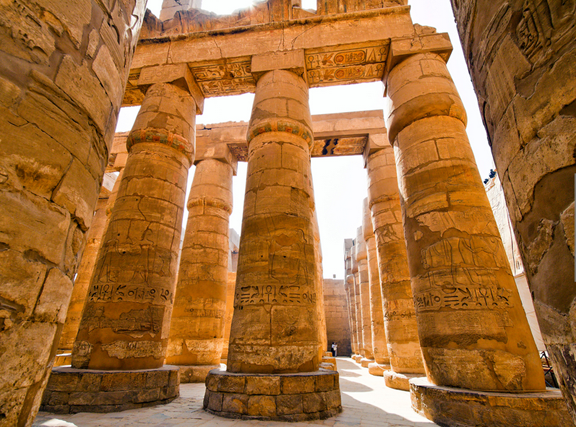 You CAN cross Egypt off your bucket list! You won't believe how inexpensive your dream trip can be!